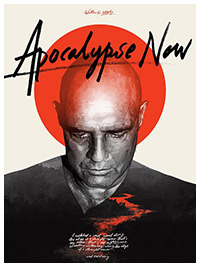 Directed by Francis Ford Coppola, this epic film is set during the Vietnam War and stars Marlon Brando, Robert Duvall, and Martin Sheen. The film follows Captain Benjamin Willard who, at the height of the war, is sent on a dangerous mission that, officially, "does not exist, nor will it ever exist." 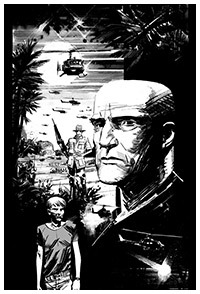 His goal is to locate - and eliminate - a mysterious Green Beret Colonel named Walter Kurtz, who has been leading his personal army on illegal guerrilla missions into enemy territory.